Cisco has announced it has acquired the DNS and cybersecurity firm OpenDNS, boosting Cisco’s cloud-based security portfolio. OpenDNS was formed in 2006 as a consumer DNS company, with the firm moving into the realm of cybersecurity in 2012 with the launch of the network security service OpenDNS Umbrella. The firm developed its product portfolio and usability of its Umbrella to allow integration with any security product via the OpenDNS global security network. During the past three years, OpenDNS has partnered with some of the world’s biggest IT security vendors and its cybersecurity offerings are used by many of the world’s top enterprises. Cisco made its intentions to acquire OpenDNS known in June. Now, two months on, it has been announced that OpenDNS is now part of Cisco, although the acquisition process is not expected to close until the end of the first quarter of 2016. The acquisition makes perfect sense for Cisco, allowing the firm to rapidly expand its cloud-based security services and augment its already advanced threat detection capabilities, which now includes DNS-based threat data. Via Security Everywhere, Cisco is already providing security solutions for the extended network, including the enterprise infrastructure, endpoints, mobile devices and the cloud. The acquisition of OpenDNS was an important step to help Cisco achieve its goals, especially with the latter. The key capabilities of OpenDNS will now be incorporated into a cloud-based Cisco security platform, with Cisco’s advanced threat detection capabilities merged with those of OpenDNS. The aim is to provide a comprehensive range of security solutions for all aspects of the enterprise environment, and cover the full attack spectrum, including protections and solutions that can be used before, during and after an attack. It is expected that by joining forces, it will be possible to provide services and solutions that are far more powerful than the sum of both parts. OpenDNS customers will also see major benefits. OpenDNS Umbrella will be seamlessly merged with Cisco’s systems and will receive new capabilities for managing a wide range of security threats. OpenDNS has already incorporated the Cisco cloud-based AMP Threat Grid malware analysis service into OpenDNS Umbrella, allowing its customers to add Cisco’s list of malicious domains to their block lists. Since Cisco obtains and analyzes malware outside of a virtual environment, it allows malware to be analyzed that has been designed to evade analysis through traditional sandboxing environments. This threat information would otherwise not be available to OpenDNS customers. 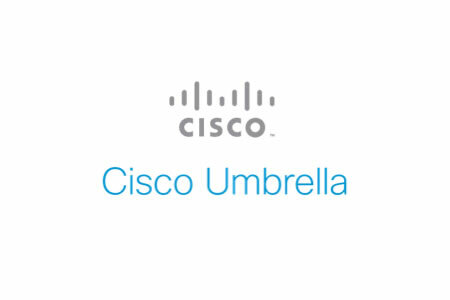 Cisco’s threat data will be constantly sent to OpenDNS and will be automatically incorporated into Umbrella in a matter of minutes. OpenDNS will then monitor, log, and block all Internet activity to the malware domains on all devices, irrespective of whether they are connected to the corporate network. While OpenDNS is now Cisco, that does not spell the end for the company. The OpenDNS team will continue to use its extensive experience to develop technologies to better protect companies and their users, under the leadership of Cisco’s senior VP and General Manager David Goeckeler as part of the Cisco Security Business Group.